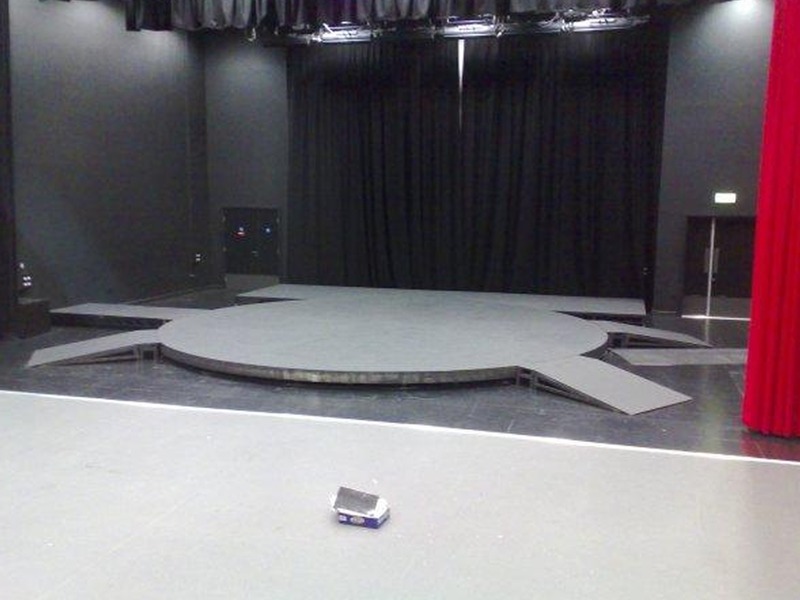 Concept Staging Ltd have designed and manufactured a range of electronically controlled revolving circular rotating and rolling stage risers. Our stock are manufactured from Aluminium and range in sizes from 8’ Diameter to 24’ Diameter, stand 10” in height and come complete with 18mm fire retardant plywood deck. Revolving stages risers can be operated using Encoder software or operated using a remote control, including variable speed, forward reverse and emergency stop.